Come to explore in a world of the Mayas and unravel their history. 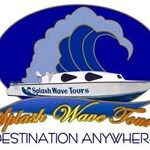 Splash Wave Tours' unique location in Belize City allows us to take you on just about any tour you would like to take. Whatever your passion may be, we can take you there. 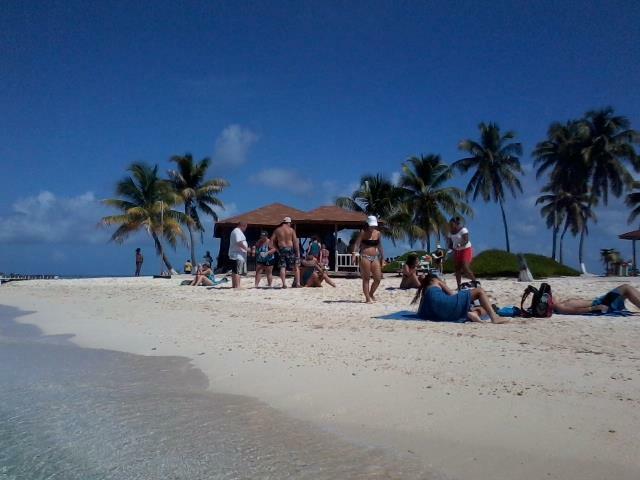 We cater to both large and small groups and cruise passengers as well. 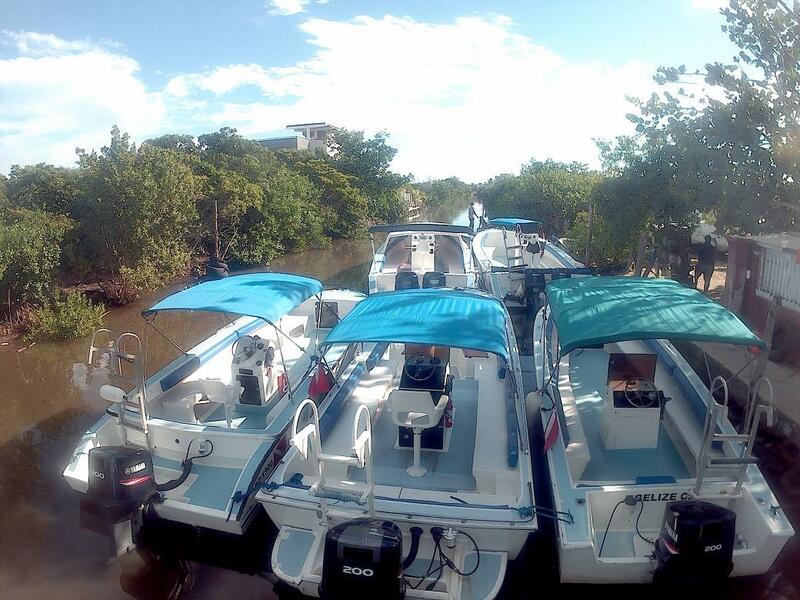 Our boats and vans are suited for your comfort. Relax as we take you on a trip to Goff’s Caye for a day snorkeling or to the Blue Hole which is a Natural Monument, located just off the World’s Second largest Barrier Reef. We also provide inland tours to The Belize Zoo, and to some of the most beautiful Maya Ruins in Central America. Our qualified and experienced tour guides who are approved and licensed by the Belize Tourist Board. They will be your host to some of the most beautiful and historic sites in this tropical paradise. 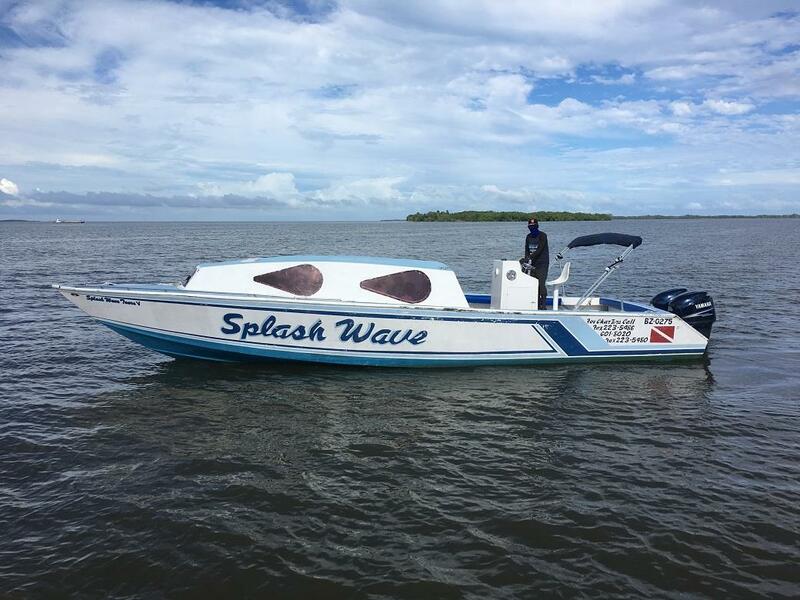 During your travel with Splash Wave Tours, you will understand and appreciate the natural wonders of the Belizean culture and their relaxing laid-back lifestyle. 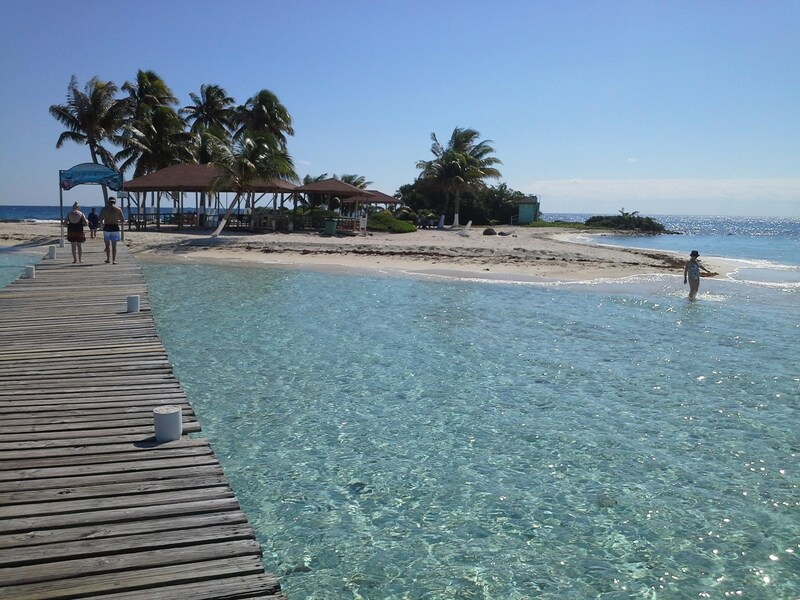 Join us at Splash Wave tours and let us take you to Goff's Caye, Belize. Discover with us the unspoiled beauty, white sand beach and aquamarine waters surrounding this small island ... moreparadise. 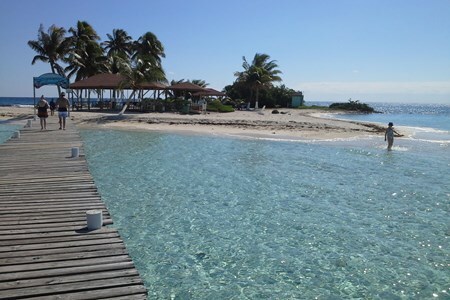 Escape to this tropical Caye for a day of sun, sand, snorkeling, and full of family fun. This gorgeous and uninhabited island is only a 30-minute boat ride away from Belize City. 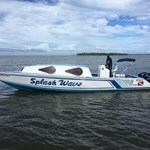 Perfect for cruise ship passengers and visitors staying in Belize City. It's a popular destination because of its powdery white sand beach and the pristine water that surrounds it. It is located right on the edge of the barrier reef and has an abundant variety of colorful tropical fishes and other marine life such as corals, sea urchins, conch, lobsters, and stingrays, just to name a few. All this makes a remarkable snorkeling experience. This is a truly ultimate Belize island experience. This small Atoll symbolizes the true essence of Belize. The unspoiled sandy beaches offer unequaled rustic charm and all of the necessities without the commerciality or the crowds. 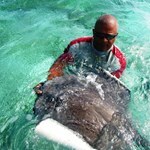 Turtle Snorkel site and Sting Ray Alley is 04 miles southeast of San Pedro Ambergris Caye island. This Marine reserve is one of the most popular dive and snorkeling site. you will ... morebe snorkeling with the Turtles and stingrays in 15 feet deep inside the Marine reserve reef, with vigorous coral formations and richness of marine life. 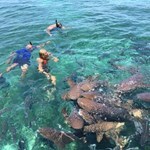 at sting ray alley you will all so see when you arrive ecstatic Nurse Sharks and southern stingrays, surface often boiling with rolling sharks and stingrays as they compete for the scraps. these creatures have a great tolerance for diver and snorkelers the rays, which have a 'wing-span' of two to four feet, swim directly towards you turned up hoping for a handheld tad bit to be placed near their mouths, the docile Nurse Sharks average four to six feet in length , you will feel the excitement and novelty of swimming with a large number of nurse sharks and stingrays. 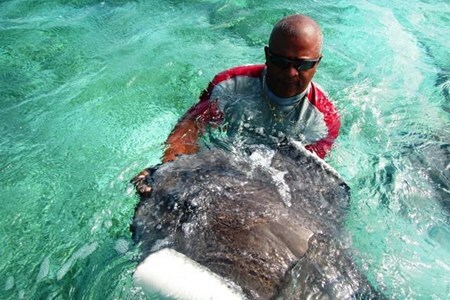 Hol Chan Marine Reserve is located off the southern tip of Ambergris Caye. Mayan for '' little channel''. 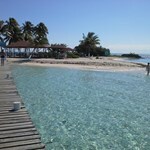 Hol Chan Marine Reserve is undoubtfully one of the most popular dive sites ... morein the Caribbean, and indeed in Belize. The entire reserve focuses on a cut through the reef ( called a Quebrada ) which is little more than 25 yards wide and 30 feet deep about 04 miles southeast of San Pedro. Hole Chan has burgeoned into a unique refuge, with vigorous coral formations and a richness of marine life. Realizing the importance of the coral reef community off Ambergris Caye, Belize, the Government of Belize established the Hole chan Marine Reserve on May 02. 1987. Shark Ray Alley was officially declared Zone ''D'' of the Hole Chan Marine Reserve on August 31st,1999. 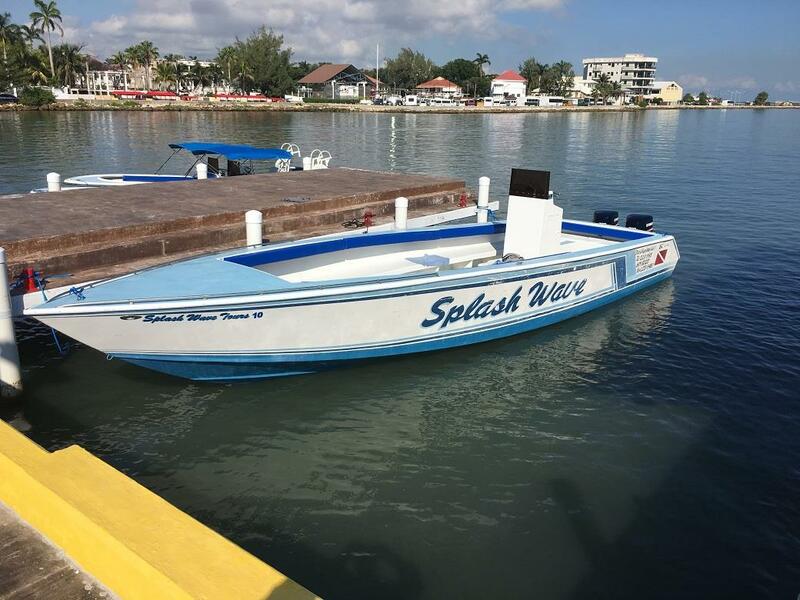 We will then head to the neighboring Shark Ray Alley, where you will snorkel or dive and be able to get up close and personal with ecstatic Nurse Sharks and Southern Stingray. When you arrive, you will see surface often bolling with rolling sharks and stingray as they compete for the scraps. these creatures have a great tolerance for divers and snorkelers. The rays, which have a 'wing-span' of two to four feet, swim directly towards the divers, mouths often turned up hoping for a handheld tad bit to be placed near their mouths. 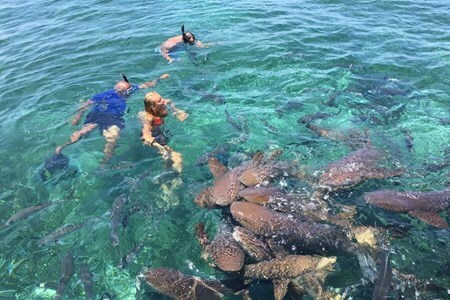 The docile Nurse sharks average four feet in length and can be a bit more aggressive than the stingrays.H ere you will feel the excitement and novelty of swimming with a large number of sharks and stingrays.